According to a recent news article from the Los Angeles Times, the shifting attitudes and relaxation toward marijuana use has gone a long way in removing the stigma long associated with marijuana use. Less than two decades ago, marijuana dealers were seen as a dangerous drug dealers engaged in criminal activity. This was not just some, but all sellers of marijuana. Parents would routinely warn children to stay away from anyone selling marijuana, and people would talk about how the drug was destroying the community and robbing it of its values. However, as our Orange County medical cannabis attorneys can explain, through the hard work of those touting the medical benefits of marijuana and fighting for legalization, cannabis has not only become more accepted, and its use decriminalized or even legalized, but, also, there has been growing national support for these laws. 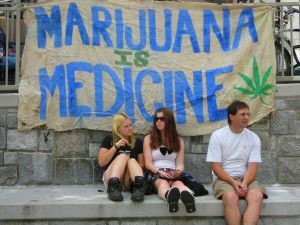 There are variety of reasons people have come to support the use of medical marijuana and legalization of marijuana. Many are eager to see all those who suffer from a health condition allowed to use a much-needed treatment option. It should be noted that marijuana is not only a treatment option for some medical conditions but is sometimes the best treatment, in terms of efficacy and lack of side effects. For example, with children who have an autism spectrum disorder, many parents have tried traditional therapies for years with little success. These traditional therapies involved the use of amphetamines and powerful narcotics that are addictive, cause drowsiness, and have many dangerous side effects. On the other hand, parents who have tried using a single drop of cannabis oil two to three times a day have seen remarkable improvement in their children’s medical conditions with virtually no harmful side effects. While medical reasons are obviously compelling, others see the issue as one concerning public justice. Many people are in jails and prisons across Southern California for crimes related to marijuana. In some cases, it is possession or distribution of marijuana itself, and, in other cases, it was alleged marijuana odor which authorities used as probable case to conduct a traffic stop. Many of these people, in fact the vast majority of them, are minorities, and this has led many to argue that marijuana enforcement laws in the United States are discriminatory in nature or in effect, even if they weren’t intended to be when they were created. There are also those who believe the nation is wasting a tremendous amount of taxpayer money to fight a so-called war on drugs, when, in the case of marijuana, that money could be much better spent on other things. We have schools that cannot afford to purchase new educational materials while the same government is spending millions on joint task force operations to close down medical marijuana dispensaries. Whatever the reason may be for a particular person supporting the decriminalization or legalization of marijuana, more and more people are getting on board each and every year, and many marijuana advocates believe it is only a matter of time before it is legal everywhere. However, this does not mean the federal government will take marijuana off the controlled substances schedule, where it is currently listed as a Schedule I drug, and this will lead to more conflicts between state and federal law.